I want to persuade you of three things. One, that Dumaresq Dam is in peril and doing nothing is not an option. Two, that Armidale needs Dumaresq Dam. Three, that the cost of reforming the dam wall is one that we can and should be willing to pay. Now, I must confess that I was a bit lukewarm on points one and three before I attended the meeting organised by the Dumaresq Progress Association. I thought it was ridiculous that we should be forced to spend millions of dollars to comply with some bureaucratic requirement that the dam wall meet modern safety standards and be able to withstand a 1 in a 100,000 year flood. Dumaresq Dam has served our community well for more than a century and no one is suggesting it’s going to collapse due to normal wear and tear. But if this freak storm hits, the dam wall breaks and the water comes rushing towards town, the engineering consultants have estimated that 1.8 people could die. I don’t want to trivialise anyone’s death, but consider this: on average, 350 people die on NSW roads every year, but we still get in our cars and drive. So, what was said at the meeting that changed my mind? Well, Luke Finnegan, the manager of water services at the council, gave a very clear presentation on what is wrong with the dam. Basically, what we have is a gravity dam, with the wall made up of concrete and large granite boulders. It was well built according to the standards of 1896, but if it was being done today the base of the wall would be three metres wider. As well as the pressure exerted on the dam wall by the weight of the water, fissures at the bottom of the dam create uplift pressures – but this additional stress wasn’t understood till the 1920s. The other problem is that the spillway is too small to deal with the volume of water that a huge storm would generate. Basically, the wall and the spillway aren’t big enough, and during a major flood the chance of the dam breaking may be 1 in 2000. That might seem low, but it can happen. The extreme rainfall that provoked Queensland’s deadly floods in January 2011 had a probability of 1 in 2000. There have been multiple reports into the possibility of Dumaresq Dam breaking over the last twenty years, and lots of options have been considered, including early warning systems. But it has come down to this: the state government regulator, the Dam Safety Committee, says the solution must be a structural one, and if something isn’t done soon, they’ll demolish the dam and send us the bill. The cost to demolish the dam is $1.2 million, plus another $300,000 to remediate the site so it doesn’t look hideous. Council has $1.5 million in their water fund that could cover this cost. Demolishing the dam is one of the options described in the latest report by Arup Engineering. Another is cutting a big slice off the top of the wall to lower the water level by 2.5 metres. This would reduce the dam’s total area by half, and the shoreline would shrink inwards by 25 metres from the boat ramp, and 160 metres at the northern end. The maximum depth would drop from 11 metres to 8.5 metres, and there would be large sections of water shallow enough for reeds to colonise. We would end up with a swampy, reed-infested puddle. This would cost us $1 million plus another $200,000 in rehabilitation. Again, this could be covered by the water fund. The third option is to keep the water level as it is currently, and reform and strengthen the dam wall. This would cost $3.4 million – so taking the water fund money into account, there’d still be a shortfall of $1.9 million. If every man, woman and child in Armidale was prepared to chip in $76, we’d have that much. But unless the community indicates very clearly that it values Dumaresq Dam, Council is likely to take the easiest, cheapest option of lowering the dam wall. You may ask: why do we need the dam anyway, given that Malpas supplies our drinking water? This was a topic explored in depth at the October 28 meeting. The primary reason is its value as a recreational facility. It’s the only large, accessible body of water close to town. 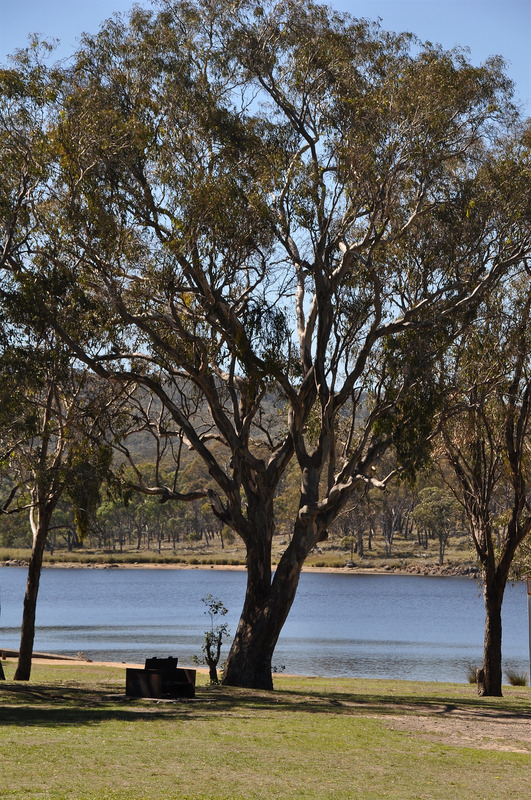 People use the Dumaresq Dam Reserve for a whole host of land and water-based activities – barbecues, bushwalks, picnics, parties, orienteering, fishing, canoeing, kayaking and swimming. Until recently, it was also a very popular camping spot for grey nomads. It’s been an important part of many local people’s childhoods. One woman at the meeting said four generations of her family had grown up in Armidale and taken their children to Dumaresq Dam for their first picnic, and she wanted her daughter to do this too. Another reason we need to keep Dumaresq Dam is its value as water storage. When we are struck by major bushfires or severe drought, we’ll be glad to have it there as backup. We know climate change is bringing us more extreme weather events. If Mt Duval goes up in flames and the fire-fighting helicopters are hauling water out of Dumaresq Dam, it could be what stops an inferno from raging through the university and on to the town. And when we have long dry patches, there are landowners downstream who rely on water being released from the dam into the creek to save their stock. Finally, there’s the intrinsic environmental value of Dumaresq Dam Reserve and the flora and fauna it supports. Students at the university and the local schools go there for educational field trips. It’s a beautiful place. Many of us have a strong emotional attachment to Dumaresq Dam as a favourite place to relax and socialise with our family, friends and visitors. So, are we willing to put our hands in our pockets and preserve Dumaresq Dam as we know and love it? There are 10,000 ratepayers in Armidale, so we could raise $1.9 million by chipping in $200 each. You could think of that as $2 a week for two years, or $25 extra on each quarterly bill. Surely, it is worth it. This speech won first place in the Armidale Communicators Speech Contest on 6 November 2014. A version was published in The Armidale Express, 31 October 2014.